The State of Utah is blessed with some of the most breathtaking views in the country, and with so many activities that allow for a Utah vacation to be a full out outdoor adventure; it is no wonder this state is such a popular choice. 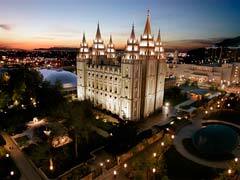 Perhaps one of the best known of Utah tourist attractions is Mormon Temple Square in Salt Lake City. Here in a three block expanse sits twenty Mormon attractions including the Great Temple, the Family History Library, the North and South Visitors Centers, Brigham Young Historic Park, the Mormon Pioneer Memorial Monument and the Beehive House, to name just a few. Visitors can walk through the area to learn more about the Mormon faith and their history and enjoy the beautiful architecture along the way. No Utah travel guide would be complete without mentioning of the Great Salt Lake, which is the largest such lake in the western hemisphere. The lake houses nine islands, the largest of which is Antelope Island, where visitors can camp, hike, swim, and observe the varied wildlife that includes the antelope, bobcats, deer, birds and American bison. Because of the high salt content in the lake, it is not home to many fish, and the salt makes a person more buoyant which is an interesting experience, especially for a lake. 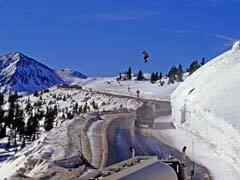 Salt Lake City is also a winter mecca for skiers and snowboarders as the area gets an average of 500 inches of light, dry snow a year. The cold air coming off of the Great Salt Lake mixing with the dry air of the city allows nearby ski resorts like Solitude, Brighton, Snowbird and Alta to always have an ample supply of fresh snow powder and with amazing runs through the mountains; the Park City ski area can’t easily be beaten. Salt Lake City was the host for the 2002 Olympic Winter Games and is the gateway to the many ski resorts and National Parks that Utah is known for. Before heading off to those other destinations, check out Wheeler Historic Farm which is a real working farm/science museum where people of all ages can lead the life of a farmer if only for a day. Milk a cow, chase piglets through the mud, harvest crops and see the natural beauty of the grounds complete with a creek and playground area. Provo is the home to another popular Utah tourist attraction, the famous Brigham Young University. Here your Utah vacation takes you around campus and to the BYU Museum of Paleontology, the Museum of Art and the BYU Earth Science Museum as you roam around the peaceful campus. The Brigham Young Academy was the first BYU campus that was founded in 1875, and served as the school before it got too small. Today it is a public library which welcomes visitors to the historical site. 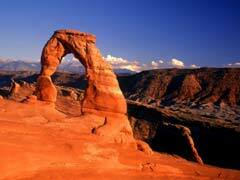 Southern Utah is home to many National Parks and monuments that offer plenty of natural Utah tourist attractions with breathtaking sights, wildlife and natural wonders as far as the eye can see. 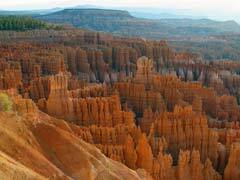 Bryce Canyon is full of limestone spires and pink cliffs, made after millions of years of erosion and weather have taken their beautiful toll. Fairyland Point, many scenic drives and beautiful lookouts beckon the visitor and offer exquisite views no matter the season. Planning your visit early or late in the day you can take advantage of the sun rising and setting amid the formations, which only heighten the views. Taking the 37-mile round trip drive around the rim allows you to see all 15 of the popular views around the park. Zion National Park is known for its towering cliffs, canyons, hanging gardens and many trails. A true gems in the park are the Kolob Canyon where your Utah vacation can take you into the rugged backwoods for exceptional hiking opportunities and the challenging the Narrows Canyon for experienced hikers where partial swimming may be required. The world’s largest freestanding arch can be found in this park as well as other geological formations that have to be seen to be believed. Arches National Park offers an amazing Utah tourist attraction as it is loaded with the largest concentration of natural stone arches in the world. It is an arid, red desert area alive with beautiful warm hues and stone wonders that number over 2000. Canyonlands National Park lies just south of Moab, UT, and is known for its canyons and plateaus that have been carved through millions of years by the Colorado and Green Rivers. This park offers the outdoor adventurer lots of 4×4 off- roading opportunities as well as some of the fastest white water rapids in the world. No Utah vacation would be complete without a trip to Monument Valley. This park is full of red sandstone formations and has been the setting for more western movies than any other, along with having a strong Navajo Indian history to discover. Monument Valley is also home to some of the state’s best hiking trails making it one of Utah’s most popular tourist attractions. 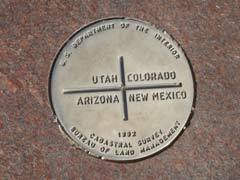 Another cool place to visit is Four Corners Monument, where you can stand in four states at the same time as Arizona, Utah, Colorado and New Mexico converge in that spot. The Dinosaur National Monument in Vernal offers tourists the chance to see dinosaur fossils amid the quarry where they were first discovered. The museum, rock formations, rivers and trails in the area only add to the beauty of the area and make it a great place to stop on a Utah vacation. No matter the season, there is always something beautiful to see in the state of Utah.